The use of a floating or submersible Pond deicer is one of the best ways you can winterize your pond. But what is a pond deicer, why do I need one, how do I use one, and how is it different from a pond heater? What is a pond de icer? As the name implies, a pond de icer is a device used to prevent the buildup of ice in your pond in winter. There are two basic types of deicers. 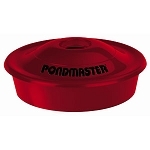 A floating pond deicer will float on the surface of your winter pond and submersible pond de icers sit on the bottom of your pond. Both types keep a small hole free of ice in the surface of your pond to allow the escape of gases that could otherwise sicken or kill your fish. Pond deicers range in wattage from 100 watts to 1500 watts and provide a cost effective and safe way to winterize your pond. Read the rest of this pond deicer article. 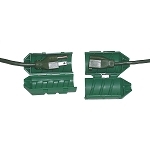 Farm Innovators: Water Tight Power Cord Connector Cord Lock! The breakthrough product includes a "clamshell" design that enables you to simply close the Cord connect around each end of the cord, and then twist to lock the cords together. The tapered ends will ensure the Cord Connect pulls smoothly without getting caught. Also, the connection is now certified as water tight. A new gasket withstands jet nozzle sprays, drip box tests, and prevents water from reaching the electrical connection. 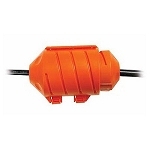 The gasket, kept in place with the Cord Connect, provides the most economical weather protection product available on the market. 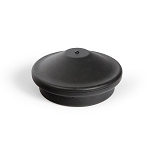 Works great with: christmas lights, birdbath heaters, heated bowls, heated buckets, and MORE! !